Creamy caramel tea - Monsieur T.
Have you just gone through a rough day? Sit in a comfortable sofa with a cup of Creamy caramel. Say again, a rough what? This creamy oolong is an instant caramel rush that will please even the most hardened sweets seekers. The caramel pieces and the calendula flowers give this dessert tea a very harmonious sweet touch. Whether you prefer english, butter or milk, caramel is a treat that rarely disappoints, trust me. 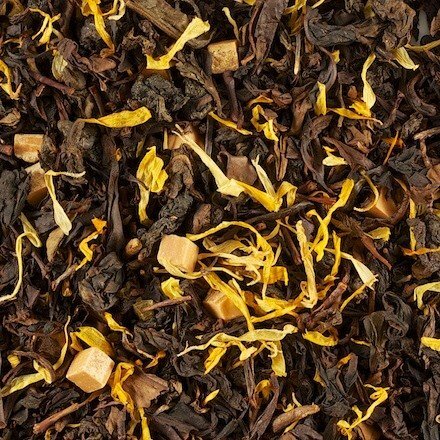 Contains: Oolong tea, caramel pieces, garden flowers, flavors.